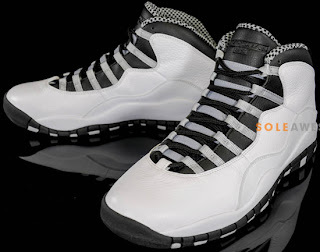 The Air Jordan 10 Retro is back in 2013 and set to return this weekend. After a brief hiatus, the Air Jordan 10 Retro is back. 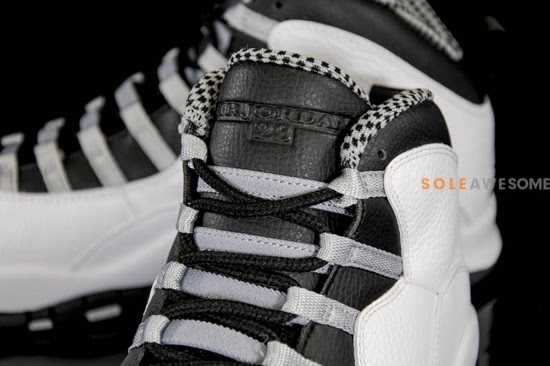 Up first is the return of the original "Steel Grey" edition. 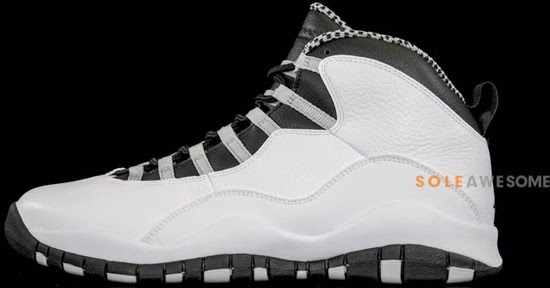 Last seen in 2005 when the Air Jordan X was retroed for the first time, this pair comes in a white, black, light steel grey and varsity red colorway. 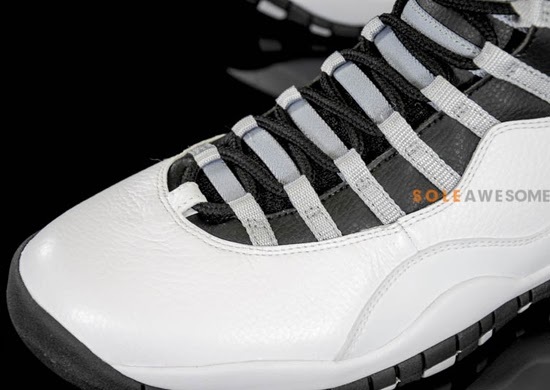 Featuring a white based leather upper with black and steel grey accents. 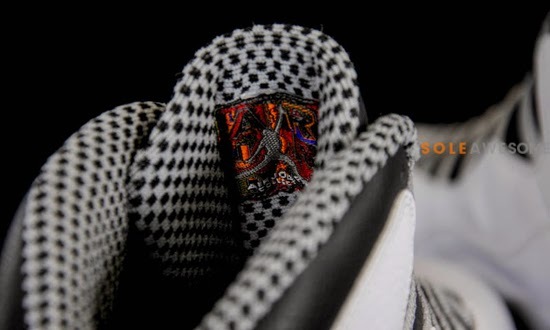 The iconic checkerboard print is found on the sockliner as well as the "Air Jordan Collection" tag on the back of the tongue. 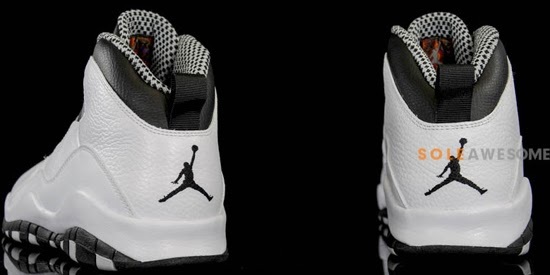 MJ's iconic milestones from 1985-1994 are found on the outsole along with a red "Jumpman" logo. 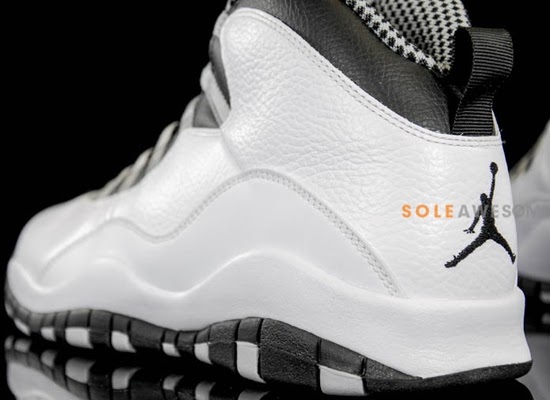 A general release, look out for these at select Jordan Brand accounts worldwide on Saturday, October 12th, 2013. 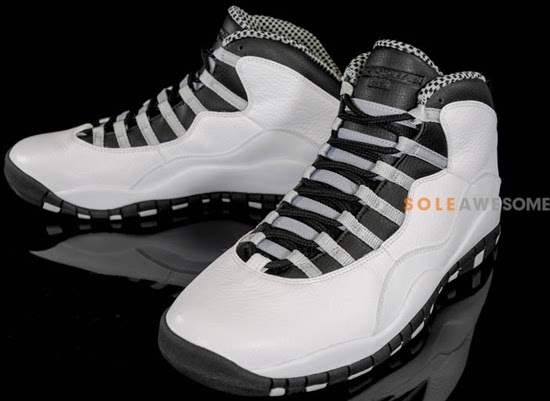 Retail is set at the new price tag of $170 for men's sizes and, they will also be available in full family sizing all the way down to infant.